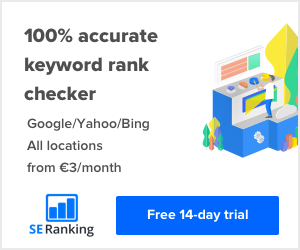 Are you a website owner who would like to have a greater insight to your own website keyword rankings but you don’t know where to start? SSL Certificates are not only essential for protecting your website providing privacy, critical security and data integrity but they also assist your SEO rankings. You may have noticed changes to your Instagram feed as features of the new algorithm were released. We take a look at the new algorithm and the new Instagram features and give you our insights. High quality photography will make or break your website. In the competitive world of websites, first impressions count and quickly creating consumer trust is essential. Want more follows but still have a life that doesn’t involve you being permanently attached to your phone? When it comes to using hashtags in Instagram some love them and some hate them. Here I’m going to cover why you should use them and how to use them effectively. A custom landing page to your Instagram profile allows you to highlight your services and direct traffic from your Instagram account to your website. In order to boost posts on Instagram you will need to convert your account type to be a business profile. Line breaks and paragraph spacing do not work in Instagram … but we have some tricks for you to achieve this! Instagram now allows you to tag products in your Instagram post enabling you to sell straight from your post. eCommerce businesses this is a must read!